In the last twenty years new and unexpected connections have been identified between philosophical ontology and application fields, ranging from information technology to social sciences. The Ontological Canon is intended to provide: (a) an historical and theoretical overview of the results that have already been achieved in this area and (b) some innovative contributions, both theoretical and applicative, in specific areas of research. 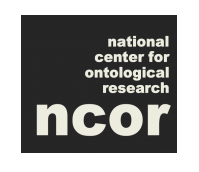 National research is the basis for a broader project that will be submitted to the EU, as part of the activities promoted by the Centre for Theoretical and Applied Ontology (CTAO). The units involved in the project will contribute in different ways, but in constant synergy, to the three articulations of the Canon: the Canon Book, the Canon Portal and the Institutional Canon. The philosophical units will coordinate the making of an ontology textbook, which will be edited in two paper (Italian and English) and an online version (within the Canon Portal). The textbook will be organized in three sections: History, Theory and Applications. The units will focus both on the historical and the theoretical aspects, within the so-called ‘Object Paradigm’, a line of research whose aim is to determine the general features of objects, which are relevant for an ontological enterprise conceived as a rational system for objects classification. A web portal will be realized. It will be designed both to access the corpus of ontologies produced by the different units and to allow a direct interaction in the developing of the ontologies itself for the users. A specific attention – and this is a strongly innovative feature of the project – will be devoted to the identification of criteria which can be used to build the architecture of an online environment for knowledge management, in order to improve the quality of human-machine interaction. The Institutional Canon has two main aims: (a) to study the connections between social objects and institutional formalizations and (b) to enhance the role of CTAO as a node of excellence within the Italian research and as a bridge between the latter and other European research labs. It will focus on three lines of research: (a) justification and constitution of political and social theories; (b) building of juridical database; (c) ontology of intellectual property. In order to internationalize the research, a number of meetings will be organized, such as the FOIS: Formal Ontology in Information Systems – Third International Conference (Turin, 4-6 November 2004), and the Second National Conference on Analytic Ontology (Pisa, Scuola Normale Superiore, 7-9 July 2005). Exchanges will also be arranged with the IFOMIS in Leipzig, in collaboration with the Alexander von Humboldt Foundation (Bonn), with the Jean Nicod Institute in Paris, the University of Paris-IV, and with Columbia University.